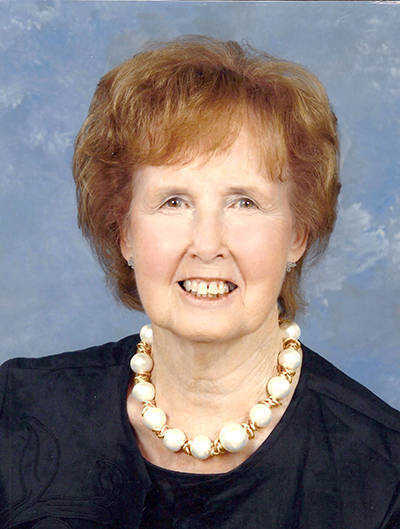 Inez Haynes, born June 8, 1928, in Blytheville, died March 23, 2019, in Collierville, Tenn.
Inez Haynes was retired from Dillard's department store at the age of 83 after approximately 40 years of service. She was a graduate of Draghn's Business College in Memphis, Tenn., and worked for the Mississippi County Sheriff's department in Blytheville and Chambers Stove Co. in Oxford, Miss. For many years she served as a Sunday school teacher for women and children. Inez Haynes was a member of Woolmarket Baptist Church and recently attended Living Hope Church in Piperton, Tenn. She was previously a long time member of First Baptist Church in Biloxi, Miss. She loved sewing, crochet, gardening and enjoyed watching basketball which she played as a young girl. She especially loved her family and all babies and children. She was preceded in death by her husband Rev. James A. Haynes Jr.; her parents, James Henry Gurley and Virgie Stewart Gurley; four brothers, Elton Theo Gurley, J.L. Gurley, Max Tilman Gurley and Joe Allen Gurley; and one sister, Billie Jeanette Jackson. She leaves two sons, Rev. James Wesley Haynes and his wife, Cheryl, of Biloxi, Miss., and Roger Blake Haynes and his wife, Suzanne, of Brandon, Miss. ; one daughter, Linda Dianne Haynes Lendennie and her husband, Benny, of Collierville, Tenn.; a brother, Stewart Gurley; 10 grandchildren, 17 great-grandchildren and four great-great grandchildren. A funeral service will be held at 2 p.m. Wednesday, March 27, with visitation an hour prior at Collierville Funeral Home, 534 W. Poplar Ave., Collierville, Tenn. 38017. A memorial service will be held at 12:30 Friday, March 29, at Woolmarket Baptist Church, 12816 Lorraine Rd., Biloxi, Miss. 39532. Burial will follow at Floral Hills Memorial Gardens, 8910 Carl Legett Rd., Gulfport, Miss. 39503.